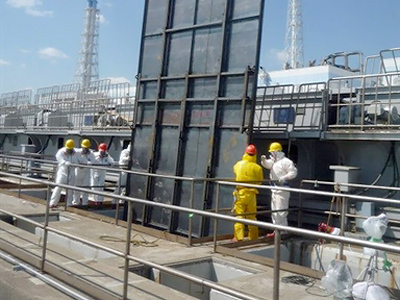 The operator of Fukushima-1 nuclear power plant aims to restore the cooling systems of the reactors at the troubled facility within three months and achieve “cold shutdown” of the plant in six to nine months. ­''We will do our utmost to curb the release of radioactive materials by achieving a stable cooling state at the reactors and spent fuel pools,'' said TEPCO’s Chairman Tsunehisa Katsumata at a news conference on Sunday, as cited by Kyodo news agency. 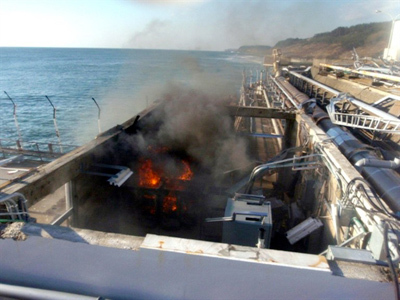 Katsumata also shared the company’s plans to put special covers on the heavily damaged buildings of reactors 1, 3 and 4 as well as install a new cooling system to filter contaminated water and flow it back to reactors 1, 2 and 3 of the disaster-hit plant. 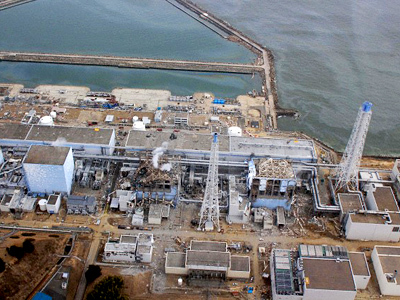 The water, which has been pumped into the reactors to cool them down, started leaking into the basements of the facility’s buildings through the cracks that appeared as a result of the earthquake. The level of water reached 85cm below ground level on Sunday in reactor 2 and threatens to overflow into the ocean. 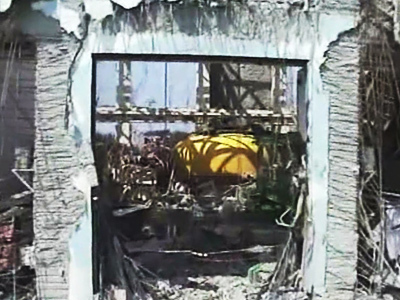 It happened despite the efforts to decant some of the water to a condenser tank at the premises of the reactor. In a week’s time, the company plans to transfer the contaminated water from reactor 2 to a nuclear waste facility that can store some 30,000 tons of such water. Moreover, robots will be sent on Sunday to take radiation probes and pictures inside the building of reactor 3. The US-made machines will also examine the temperature and oxygen concentration. High radiation levels do not allow people to complete these tasks. Examining reactors 1 and 2 in the same manner will be considered on the results of the attempt at reactor 3. 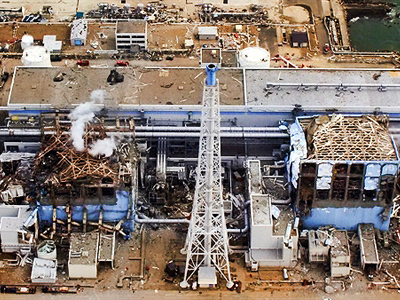 TEPCO’s chairman, in his Sunday address, also said he and the company’s President Masataka Shimizu are considering resigning their posts over the crisis that hit the company’s nuclear power plant in the aftermath of March’s earthquake and tsunami. ­The National Police Agency listed 14,175 people unaccounted for as of Saturday evening, as a result of the quake and tsunami. Officers say the number does not include people missing in Sendai, the capital of Miyagi prefecture, as authorities there are checking for any overlapping reports. More than 13,700 people have been confirmed dead. Over 137,000 others are still living in emergency shelters, while more than 22,000 have been evacuated outside the three prefectures of Miyagi, Iwate and Fukushima. 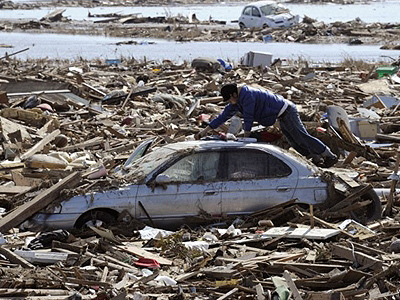 Japanese weather officials expect more strong earthquakes to hit the country in the short term. Japan has experienced a series of quakes since March 11 with the latest one shaking Tochigi prefecture on Saturday. The magnitude of the quake was 5.9, Itar-Tass news agency reported. Japan’s Chief Cabinet Secretary Yukio Edano paid his first visit to Fukushima prefecture on Sunday and promised to take responsibility for the welfare of people displaced by the Fukushima-1 nuclear crisis. Edano added that the government would do its utmost to prevent Fukushima prefecture farmers from suffering financially due to consumers not buying their products out of radiation contamination fears. On the other hand, Edano declined to elaborate when exactly the residents of the evacuation zone around the Fukushima-1 nuclear power plant will be able to return to their homes to collect belongings. Further expansion of the 30km evacuation zone is not being considered at the moment, Edano said.